Based on a graduate course in plasma physics taught at University of California, Davis, this classic book provides a concise overview and a physically-motivated treatment of the major plasma processes which determine the interaction of intense light waves with plasmas. It also includes a discussion of basic plasma concepts, plasma simulation using particle codes, and laser plasma experiments. 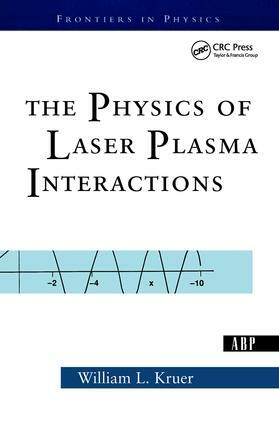 This is the most elementary book currently available that successfully blends theory, simulation, and experiment, and presents a clear exposition of the major physical processes involved in laser-plasma interactions. This was also the first book on the topic by anyone involved in the United States Laser Fusion Program. Dr. Kruer has more than 30 years of active participation in this field.